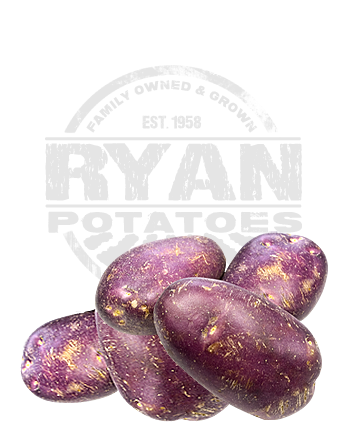 The Royal Blue potato is a long oval shape and is often slightly flattened. It has purple skin and golden yellow flesh. Perfect for the Sunday Roast. Also great for mash and baking.